We are manufacturing Disc Insulators commonly used power distribution lines that provide a cost effective solution for low and medium polluted environments. 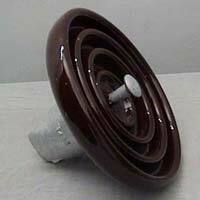 These high on performance disc insulators are manufactured by using high-grade raw material. Our disc insulators make the line compared to post insulators. This results in an additional advantage of capacitive gradation. These are used in diverse industrial and commercial applications for their highly efficient features. 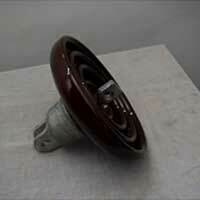 We offer 11 KV 45 KN Disc Insulator to our esteemed clients. The 11 KV 45 KN Disc Insulator is widely used in electrical wiring and cables for insulation and ensures secure usage. 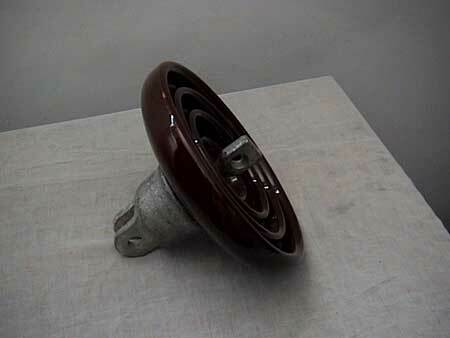 We present to our esteemed clients, 11 KV 70 & 90 KN Disc Insulator. The 11 KV 70 & 90 KN Disc Insulator helps to maintain high voltage in high loads and is a very reliable equipment.